For a girl who has lived in Southern California for the past four years of her life, Kai Lin was in shock when she first arrived for a college visit in Fairbanks, Alaska in December, the coldest month of the year in that state. Despite the cold temperatures, she was in awe. The pure beauty had come unexpectedly, like a welcome sign beckoning her to stay. So this fall, the OVS senior will be making the 3,345 mile trek to Fairbanks, armed with a new wardrobe of warm clothes in preparation for the startling climate. She is not the only one ready to make the massive transition to another city, state or country, as most OVS seniors are now fully committed to schools around the world. Natalia Huang will attend the University of California, Berkeley, while on the other side of the state, Nicole Kang has committed to University of California, San Diego. Ali Fortier will attend Montana State University, Ben Cassidy will brave the cold of Michigan to attend Kettering University in Flint, while Vivian Yan will head to Switzerland where she will study the hospitality industry at École Hôtelière de Lausanne. Sarah Silver is another senior happily going to her first-choice school, having committed to Sonoma State University as soon as she got her acceptance letter. She was ecstatic when she heard the news, as most students are when they are accepted to their top choice. “When I finally found out I cried because it was such a stress relief to know what I’m doing in my future,” Sarah said. Like Sarah, Momoe Takamatsu has recently fully committed to her top pick, Occidental College, in Los Angeles. “I am so excited to live the American college life,” Momoe said, a native of Japan who has been a boarding student at Ojai Valley School for the past three years. 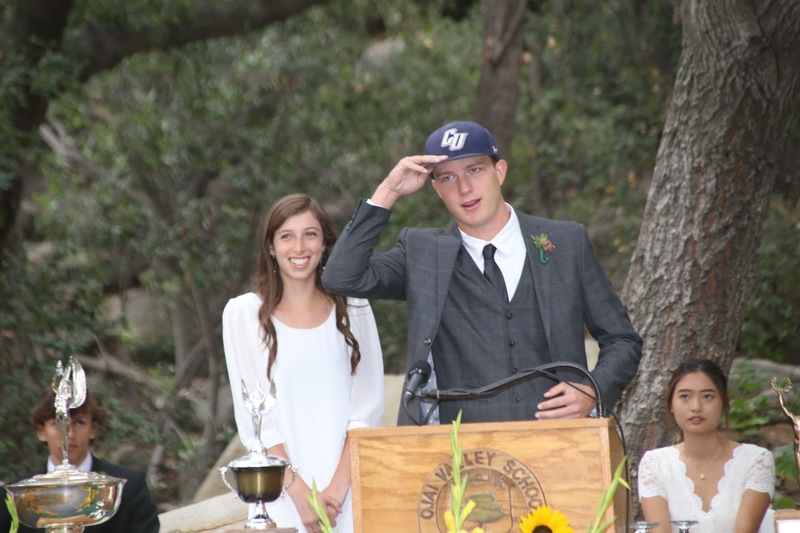 After deciding where they will continue their education next year, OVS students have begun to prepare themselves for a world of change coming in the fall. Transitioning from a small school to a larger college environment is going to be a change in pace for the members of this graduating class, but their time and efforts spent here at OVS prepared them for the next four years to come. “I can’t wait to start the next chapter of my life, meet new people, explore new options in life, and grow as a person,” Sarah said.